Network security auditing includes reviewing an existing network to discover existing and potential problems or holes in security. Performing regular network security auditing is a key step in maintaining network integrity and security and is imperative for ensuring quality service, meeting regulatory requirements, and managing operational risks. 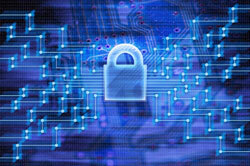 At Forward Slash Technology, we offer network security auditing services to small and large businesses. Whether your network includes a small number of computers and few users with authorized access or contains a vast network of computers and access points including access by employees, customers, and distributors, we can help discover problems and ensure compliance. To learn more about our network security auditing services, contact our IT company or request a free network security audit. What is Network Security Auditing? Network security auditing is the process of reviewing a network and determining any potential problems in a network before major issues occur. This can include reviewing access points and security policies as well as the hardware used in a network. Network security auditing can reveal issues and prevent network downtime, degraded performance, or gaps in network security before any major problems occur. Whether your system needs a few simple upgrades or many security changes, we will help you figure out how to improve and streamline your system before it becomes a problem. Network security auditing is not just an issue that requires attention at one time, but instead should be addressed and monitored on a regular basis. 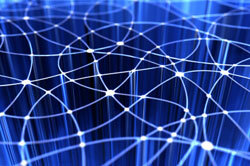 A network security auditing system will track and record what happens over an organization's network. This can record a variety of information including tracking and identifying unauthorized users that are attempting to access the network, identifying what authorized users have been accessing the network, and recording changes to user authorities. When performing our network auditing services, there are a number of important steps that we will take in order to determine the causes of current problems and discover potential causes for future problems. These steps allow us to obtain an understanding of the network that is under review and to proceed forward with the network security auditing services. Once we have finished reviewing every part of your system, we will come up with a plan, present it to you and determine which parts of that plan make the most sense for your company to take part in. Determining the Extent of the Network: The first step when performing network security auditing services is to determine the extent of the network. This includes examining an accurate network diagram that shows all of the routes available to access the network as well as providing information about the types of devices and protocols used on the network. Determining the Critical Information Assets in the Network: The second step during the network security auditing process is determining the critical assets that need to be secured. This step is important as one of the main goals during network security auditing to determine the risks associated with the assets in order to improve protection. Determining Whom has Access to the Network: Another important step during the network security auditing process is to determine the persons whom have access to the systems on the network. Determining the Connections to External Networks: Determining the external connections for a network is important during network security auditing because it will reveal any potential entry points from the external world to the network. Determining the Protection Mechanisms: The final step of review during network security auditing is to evaluate the existing protection mechanisms for effectiveness and adequacy. To learn more about how our network security auditing services can help your business strengthen and secure its network or fix existing network problems, please request a free network security audit.